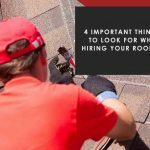 A roof replacement is one of the largest and most important investments you can make in your home, so it’s important that you choose the right roofing contractor for the job. Your contractor needs to possess certain traits and qualities to ensure a quick and successful project. 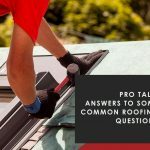 Thompson Roofing and Construction explains more in this post.